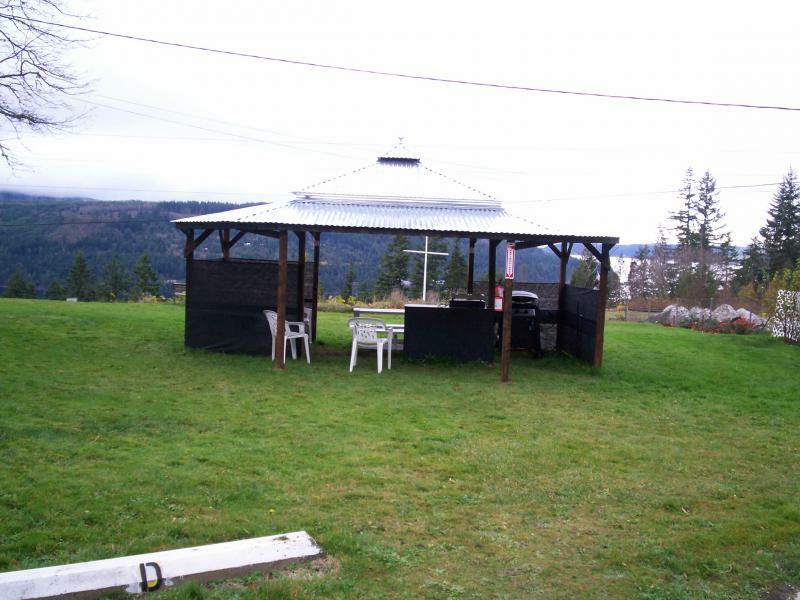 eaglemount rockery cottages/motel - Pricing & Restrictions Cottage Rentals All of our cottages are periodically Ozone cleaned. Which means the air has been purified and oders removed. Do you like soft sheets? We have them 600 thread count. Towels are oh so soft.We also provide fresh cut flowers in each cottage when in season. All of our cottages are periodically Ozone cleaned. Which means the air has been purified and oders removed. Do you like soft sheets? We have them 600 thread count. Towels are oh so soft. We also provide fresh cut flowers in each cottage when in season. No pets, no pets left in cars. weekly rates include midweek cleaning and fresh towels as needed, no daily maid service. * 3 night special includes fresh towels as needed, no daily maid service. Pictured on the right......is our shared gas grilling area for paying guests. Use at your own risk. You are expected to clean it after you use it. Please use foil if you are cooking fish. Bring your own steaks, etc. and condiments. Dishes and silverware are provided in each room. Cooking is not permitted inside cottages. Come and enjoy a bit of history from the late 40's. We look forward to seeing you here. 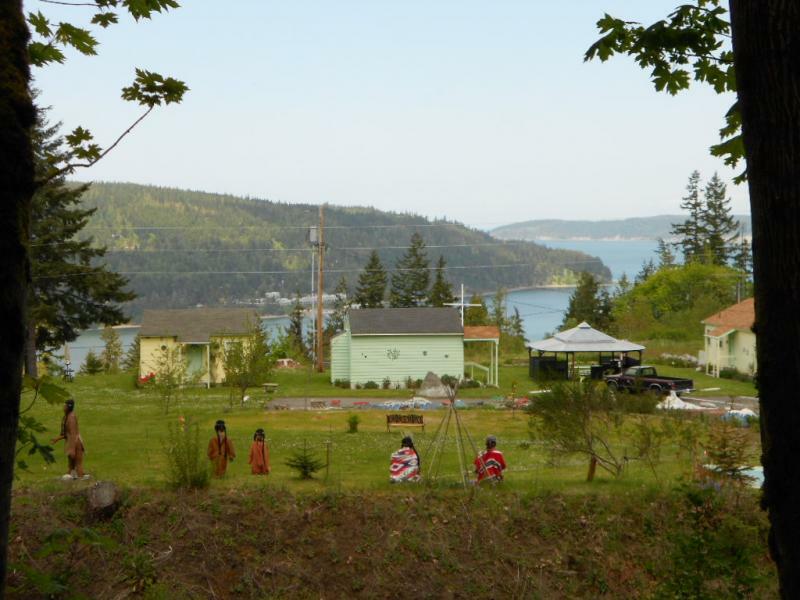 A bit of history about Discovery Bay... On May 2, 1792, the intrepid english explorer, captain George Vancouver, in search of a Northwest passage, sailed his sloop Discovery and the armed tender Catham down the Strait of Juan De Fuca and into this sheltered harbor. This bay Vancouver named Port Discovery for his ship, and the small island guarding the entrance. While at anchor here Vancouver set out in small boats for further exploration of this vicinity and discovered nearby the harbor of Port Townsend, so named by him for the Marquis of Townsend. Hummingbirds have become quite an attraction around here. 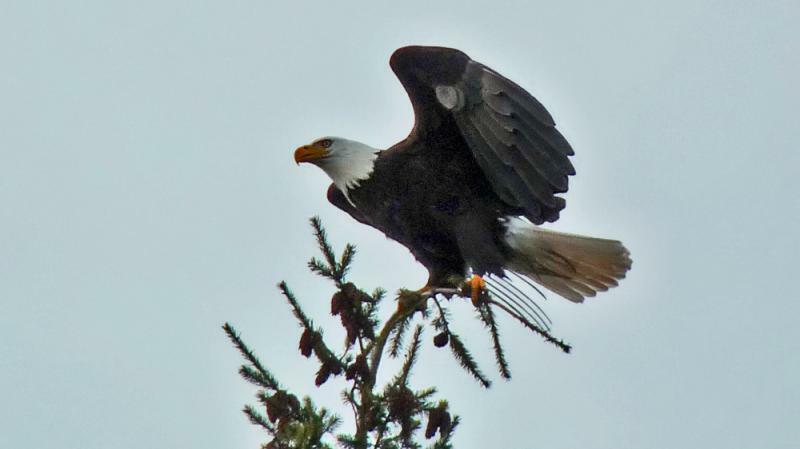 Each year they return with their new families from the past year. We estimate at least 60 so far this year. Last year we went through over 50lbs of sugar. Each cottage has it's own feeder. Photo above taken by B.H.